As of June 2017, the average American household with credit card debt had a total revolving debt of $10,955. If each card with a balance charges the market average 16.7% interest rate, then the typical household will pay approximately $1,830 a year in interest on their credit card debt. Thankfully, those with good to excellent credit can take advantage of balance transfers to avoid forking over thousands in interest fees. A balance transfer does exactly what it says: it transfers your balance from one credit card to another credit card. When you transfer your balance to a balance transfer credit card with a 0% APR introductory offer, you can carry that balance interest-free for the length of the introductory terms. Given the variety of balance transfer card offers, selecting the best one for you may come down to the fringe benefits more than the specific intro offer. Many of the best balance transfer cards also offer rewards, and while you won’t earn rewards on your transferred balance, you can still earn cash back, points, or miles, for every qualifying purchase you make with your card. If your primary concern is finding the best balance transfer offer, regardless of perks and rewards, you’re likely more concerned with the length of the card’s introductory period than its cash back rate. At the same time, since so many great balance transfer intro offers will also apply to new purchases (to varying extents), you may want to consider the purchasing power of your card. Regardless of the specific nature of your card, you should look into any applicable fees before you apply. The vast majority of credit cards charge a flat-rate balance transfer fee, typically 3% to 5% of the total transferred balance. 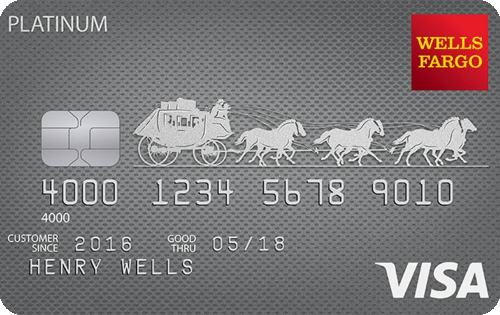 Many cards will also charge an annual fee, particularly if the card offers valuable rewards. 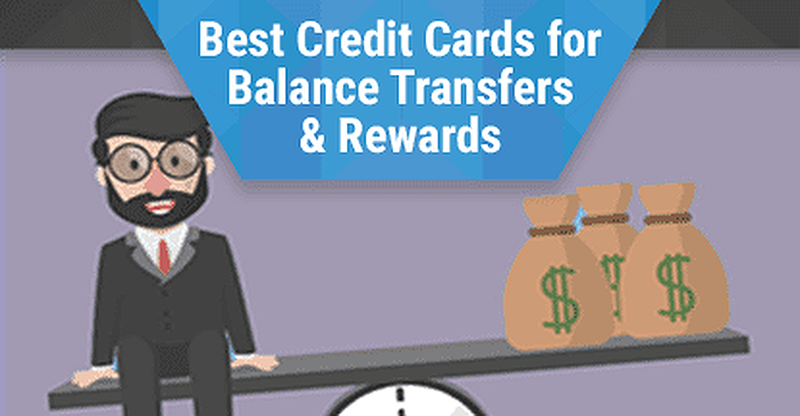 Our top-rated picks for balance transfer cards include a number of annual-fee-free options. Another thing to investigate before you apply is the default balance transfer interest rate, which is what you’ll be charged for any remaining balance after the introductory period has ended. These default rates tend to be fairly high (especially when compared to 0%), and can catch you unawares if you’re not careful to repay your transferred balance in time. On the plus side, most non-store credit cards offer real 0% interest financing instead of charging deferred interest, which means you only accrue interest on your remaining balance after your promotional period ends. Your options for cash back programs will include cards that offer only a flat-rate cash back percentage, or programs that offer bonus cash back for purchases in specified categories. While programs with bonus categories tend to have relatively low rewards rates for non-bonus purchases, these programs can be very valuable if your spending falls into the right categories. 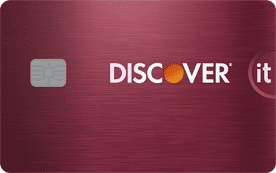 Discover currently has the lowest balance transfer fee of our top picks for cash back cards with balance transfer offers, charging only 3% of your transferred balance. All of our favorite cards come sans annual fees, as well, so you can enjoy your interest-free period without fear of added fees. Another thing to keep an eye out for are lucrative signup bonuses, which can earn you hundreds in bonus cash back. 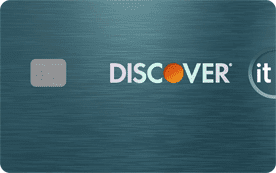 Discover has a unique program available to new cardholders that doubles the rewards you earn during your first year. 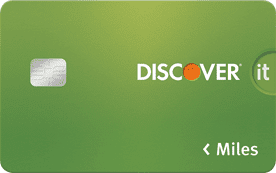 For example, if you earn $500 in cash back with your new Discover it® Balance Transfer credit card during your first year, Discover will award you an additional $500 cash back on your anniversary. Whether you like sandy beaches or snow-capped peaks, the only thing that can really top a destination vacation — is a free destination vacation. Enter the magic of travel miles. As with other types of credit card rewards, cards offering miles allow you to earn a specific number of miles for each dollar spent on your card. Miles are often redeemable for airline fare, hotel stays, and a variety of other travel expenses. Although some credit card programs that use miles limit you to specific airlines or partners, our favorites come with flexible redemption options (in addition to awesome balance transfer offers). When comparing cards that come with travel rewards and a balance transfer offer, you will likely need to choose between having a higher balance transfer APR or paying an annual fee. Many cards offering travel rewards will also come with signup bonuses, which can be worth tens of thousands of points if you can meet the spending requirement. But remember not to make purchases you can’t pay off simply to earn a signup bonus, as you can quickly end up in the red once interest fees start piling up. The best of both rewards worlds, credit cards that offer rewards points tend to have the most flexible redemption options. In many cases, points can be redeemed for cash back and gift cards, or for travel-related expenses — or for something else entirely. Most points programs provide a flat-rate point-per-dollar earnings system, though some will award bonus points for specified categories, such as gas station or restaurant purchases. Although the per-point value of your rewards will vary by issuer, it may also vary by how you redeem your rewards. For instance, redeeming for cash or gift cards may provide more per-point value than redeeming for merchandise through the issuer’s redemption portal. Choosing between our top picks will be a matter of deciding which points program you prefer, as both offer similar balance transfer terms and annual-fee-free card use. Perhaps the most important thing to remember about your rewards points is that you need to spend them to get the value out of them. While this may seem like an obvious part of the process, nearly one-third of cardholders don’t redeem their card rewards, which simply wind up back in the pockets of the issuers. No matter how well-balanced the budget, most of us can definitely use an extra $1,830 a year to put toward paying off debt or to save for retirement. So, rather than spend that money on those high-interest credit cards, qualified consumers can enjoy a year or more interest-free with the right balance transfer credit card offer. The key to successfully using balance transfer offers to avoid interest fees is to pay off your balance before the end of your introductory period. This will ensure you aren’t stuck paying inflated interest fees when the default interest rate kicks in. Another option is to transfer the balance to a new balance transfer credit card with a 0% APR offer. Just remember that each balance transfer will likely incur a new balance transfer fee.